"Transitions #1: Confusion". Free-motion quilting, beading on cotton, 16 x 16". © 2005 Joni Beach. During the NC storm a couple of weeks ago, I watched the Weather Channel anxiously as a hook-shaped pattern formed on the radar around an area where all my family in NC lives. The actual tornado touched down just past them in a neighboring town. Last Wednesday night, I monitored our weather as we were under an unusual for the Virginia mountains tornado warning. Thankfully, the system turned north and the rotating clouds never formed a tornado that touched the ground. In Alabama, where I also have family, the city where they live has had little electrical power since Wednesday evening. Gradually the power grid and other daily needs are being restored. A state that is used to having tornadoes and heavy thunderstorms, Alabama has experienced an intensity of tornadoes unusual even for them…These types of life events lead to questions like: How do people deal with and survive this kind of crisis? How do you move forward to restore normalcy? What gives support and sustains courage—provides encouragement? 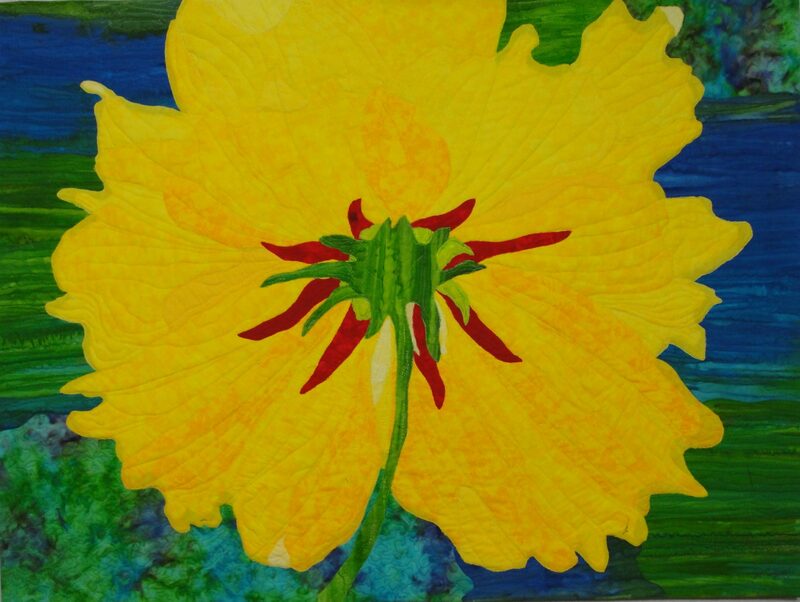 My recent blogs–Lifeweavings: A Creative Journey, Spring’s Awakening, and Time–Linear or Circular?–have been about creativity in art and life. Coping after these storms is a real life example of a needed time for creative problem-solving—considering the facts, the changes, and all the possible answers and ways of addressing the sudden questions that everyone is faced with…How will we cook food and stay cool in the heat without power? Where will we get needed gas and supplies? How will the traffic flow safely without working stoplights? According to Froma Walsh in her book, Strengthening Family Resilience (2006), creative inspiration and collaborative problem solving help people live forward with positive outcomes. Imagination is powerful in transporting us beyond a crisis and allowing us to solve problems by drawing inspiration from past experiences, family stories, creative envisioning, and new, untried solutions. We can envision new ways of living with the changes to our homes and communities. Of course, another key to recovery after a crisis that we so often see after a natural disaster is the social support –the immediate aid from other people in the form of food and water, shelter, medical care, money, and clean-up assistance to provide basics and a sense of security. The immediate needs become paramount and the larger global issues of the day are dimmed. 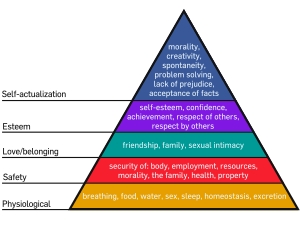 As in Maslow’s hierarchy of needs, until the basics of life are restored the higher-order needs of living become temporarily of little concern. I love the rain but when it comes with so much power it can be very frightening. I think we like new adventures in our life it just can be overwhelming if it comes with too much power. I like the fact that support from others is a key to being able to see creative solutions. Thanks Joni for your thoughts. You’re correct. The power can be awesome but frightening. Thanks so much for your visit to my blog. I appreciate your sweet comments. Boy those tornados were fierce and we were right in the path. Of all the earthquakes in CA I experienced, nothing is quite like a tornado. We had 27+ trees down in our yard and some structural damage…fortunately, the roof to our home was spared so we were safe. So glad to hear that your family was okay throughout the South…and hopefully we won’t have any more this season. Thanks again for your visit ~ I am pleased to know you! Previous PostPrevious Time—Linear or Circular?